Disclosure: I received the CeraVe Baby product line to facilitate this review; all opinions expressed are my own. 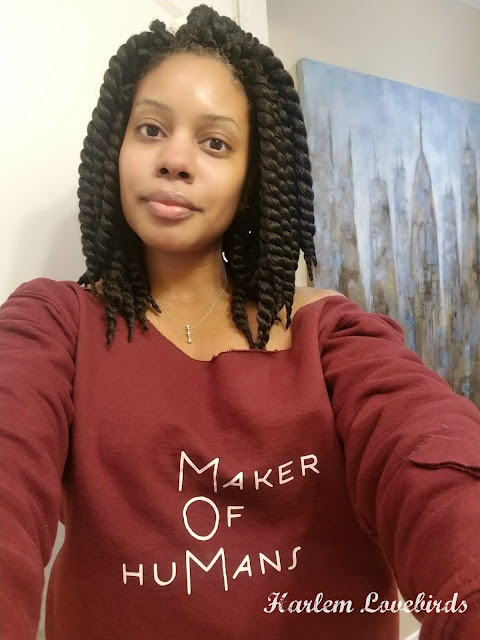 Skin issues are something that's plagued our family from time to time including a bout of eczema when I was in my early 20s and now itchy skin due to pregnancy. Mr. Lovebird and Lil Lovebird have generally sensitive skin and can both be described as itchy people most of the time. Nia deals with this simply by trying her best to be naked (or "may-kid" as she calls it!) as often as possible, but we're teaching her that's not quite appropriate O_o. 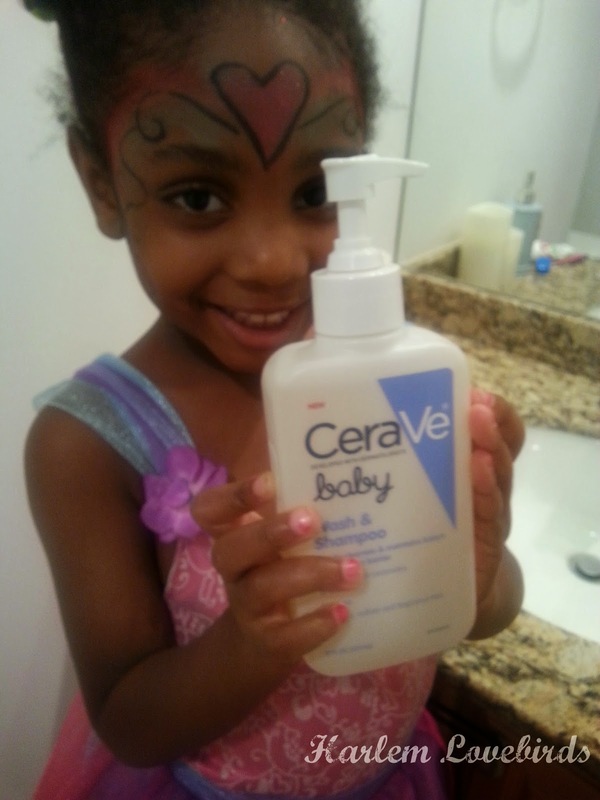 When I learned that CeraVe has a new baby line I was thrilled because last year Nia saw the dermatologist who examined her for her generally itchy skin and while she wasn't diagnosed with a particular condition, the dermatologist recommended CeraVe, which keeps her super-moisturized and we always make sure to have it stocked in the medicine cabinet. We refer to it as Nia's "special lotion" and with Baby Agbai 2.0 fast approaching, I know that I can trust CeraVe Baby since we've had such great results with the regular CeraVe cream. We received the Wash & Shampoo, Moisturizing Lotion and Diaper Rash Cream - of course we had to try it on ourselves before baby's arrival! We've used the Moisturizing Lotion on the go to keep our hands moisturized on the way out the door, and I've rubbed it on my dry, itchy, ever-expanding belly in a pinch. I especially like how it's perfume free! After Nia's epic face painting at the New York Baby Show, I used the Wash & Shampoo to remove it before bedtime. She was sad to see it go, but it eased off very gently and I felt confident knowing it wasn't full of harsh chemicals. I also monitored her skin after for breakouts and there weren't any! I'll give the Diaper Rash Cream a try when the baby arrives, but I'm intrigued to see it contains INVISIBLE ZINC™ which claims to "soothe and prevent future diaper rashes." Since we'll be cloth diapering and most diaper rash creams aren't compatible with cloth diapers, I'll be sure to use diaper liners when using the diaper rash cream as a precaution. The full line contains 3 essential ceramides helping to keep baby's skin properly moisturized and are hypoallergenic and fragrance-, paraben-, gluten-, sulfate- and phthalate-free. Knowing this plus the fact that CeraVe comes highly recommended already by our dermatologist makes me confident in using the new CeraVe Baby line for Baby Agbai 2.0 when he arrives. 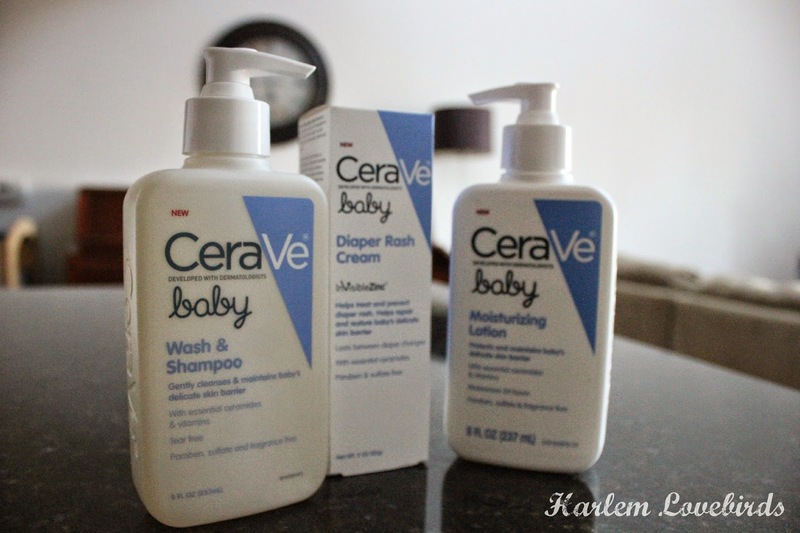 You can find the CeraVe Baby Line at Wal-Mart and drugstores nationwide for $9.99 each. To learn more about CeraVe (and for coupons! ), visit their website.